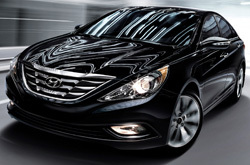 Welcome to the Van Hyundai review of the 2013 Sonata. Van Hyundai stands out from the crowd with products and services made to assist you in your search.These well-written reviews will help you do just that. Make knowledgeable decisions when it comes to your next auto purchase, don't take guesses! Each paragraph is crammed with information and vehicle features in way that's easy to understand. 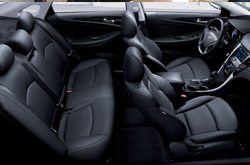 Read on to see if the 2013 Sonata should be parked outside your home. By examining the 2013 Hyundai Sonata against the 2013 Kia Optima, Ford Fusion, Nissan Altima, Toyota Camry and the Mazda 6, and you can discover that the Sonata outperforms those autos in oodles zones. View the hightlights below. Don't look to a megacorp car repair shop in Dallas when Van Hyundai's phenomenal Sonata experts are only a brisk drive away from your household. We also protect you with a generous warranty on our repairs - more than most megacorp shops do. When you bring your Sonata to our auto repair unit in Dallas, you'll get tried-and-true service from our friendly mechanics. We will get a handle on a job as simplistic as an oil change, or complete more complicated auto repairs and service like timing belt replacements, strut and shock repairs and Hyundai transmission rebuilds. For nominal, tried-and-true Hyundai car repair in Dallas, the primary place you should take your Sonata is Van Hyundai. Check out the link below to see how much money you can save on your next service appointment.